Indeed to get Game-Changing results, one has to start focusing on Game-Changing thoughts. 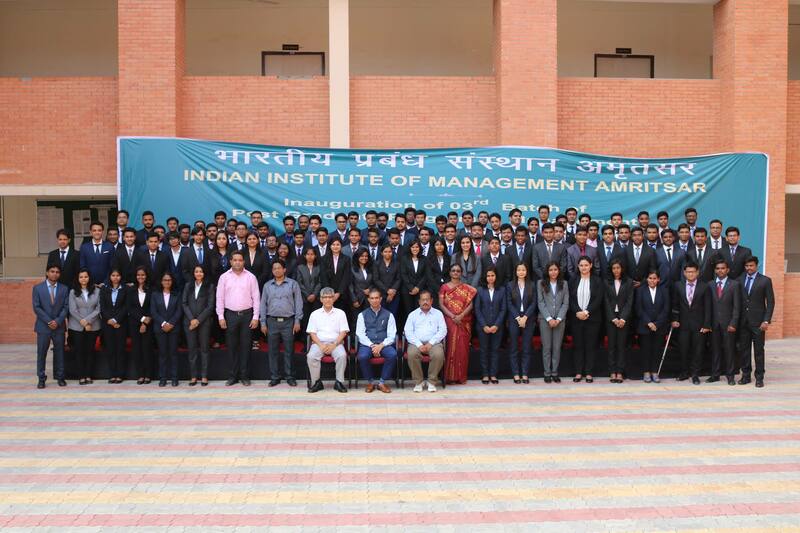 Keeping this in mind and with an aim to become a frontrunner in producing digital ready future managers and to spark a thought provoking discussion, IIM Amritsar organized the first edition of its annual Consulting Conclave, SANKSHETRA on 17th December, 2016. The industry leaders also exhorted students to change the very way of looking at things and gain insights from their surroundings as solutions to all the societal problems lie in the very vicinity of the problem area. The Conclave was a highly interactive, enriching, memorable and intellectually stimulating for the students. The event came to an end with high tea where students and the panelists shared their experiences and takeaways from the session. The participants, including corporate and students of IIM Amritsar took this opportunity to interact with the panelists and get cues to carve their way to be the leaders of tomorrow influencing change. With this conclave, this START-UP IIM even though a new kid in the block, aims to produce managers who can hit the ground running and prove their mettle in the digital tech world.